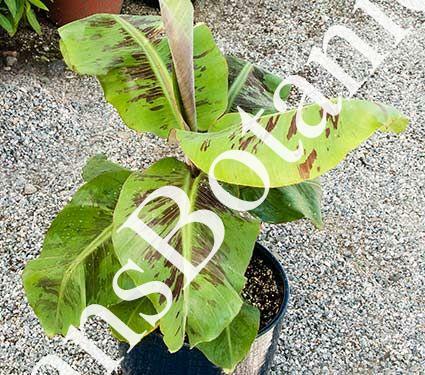 Musa Poquito PP#26424 is a super dwarf and unique looking Banana. This banana grows up to 3 to 4 feet tall. Making it one of the smallest bananas around. The new leaves are blotched with red streaks. Makes a great container plant. Plants hardy zone 9 and up.